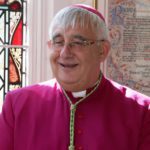 Bishop Ralph – Marriage Week – Pastoral Letter, February 2017 – Sheffield Catholic Cathedral. This week marks the twentieth year that Marriage Week has been celebrated in the UK. We have also celebrated St Valentine’s Day. Three years ago Pope Francis used the feast of St Valentine to speak to engaged couples in St Peter’s Square. In that address he posed the question that troubles many young couples today “Is it possible to love each other for ever? (1) In responding to this anxiety Pope Francis said “ “forever” is not only a question of duration! A marriage is not successful just because it endures; quality is important. To stay together and to know how to love one another forever is the challenge for Christian couples.” St Paul in the letter to the Ephesians likens the love between husband and wife to the love that Christ has for His Church. This is challenge for married couples to show what Christ’s love for his church is like. So it is not enough that they just stay together, couples should strive to be the best married couple that they can possibly be.During his pontificate Pope Francis has devoted considerable time to the urgent issues surrounding marriage, calling two synods and issuing his exhortation Amoris Laetitia. There he notes that, despite the doubts that they may harbour, “the desire to marry and form a family remains vibrant, especially among young people, and this is an inspiration to the Church”. (2) Although this is an inspiration, marriages do not survive and thrive without support. The Christian ideal for marriage, being a “covenant, by which a man and a woman establish between themselves a partnership of the whole of life” (3) runs counter to many aspects of modern culture. 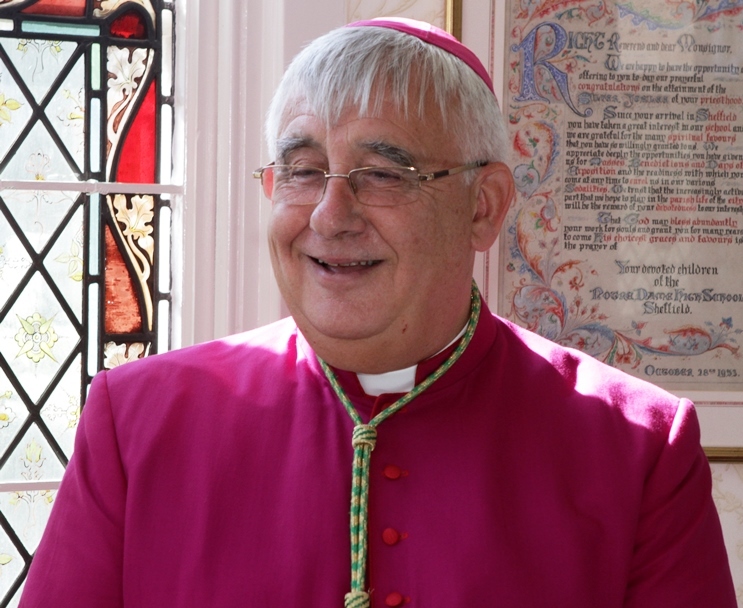 In Hallam my predecessor Bishop Moverley introduced a programme for a marriage preparation at a very early stage in the life of the diocese. That framework, now called “Preparing for a Lifetime Together” has been revised and updated from time to time. It incorporates all of the elements now recommended in the Guidelines. The feedback from engaged couples who have taken part in the programme has shown how valuable they have found it. But, “Marriage is never merely a private or family affair. It is rightly celebrated within the community of the parish. It is the bedrock of society”. (5) Therefore everyone, priest and people together have a role in the whole preparation process. The Guidelines make suggestions about how that might be done. I hope that parishes and deaneries will look carefully at the guidelines and examine how best they can welcome and support couples preparing for marriage and through the early years of their life together. Married couples, especially those who have been married for many years have a vital role in giving witness not only to the possibility of being married for very many years but also to the enduring joy and companionship their marriages bring to them. Healthy marriages are vital to the future of the church and of our nation. Children thrive when their parents truly love each other. In doing so they set an example of selfless love and caring, create a secure environment for their children to grow and flourish, and establish a rich seed bed for the growth of their faith. These guidelines reaffirm the Church’s commitment to marriage and I pray that they will provide further inspiration for our support for marriage. (2) Amoris Laetitia para 1 quoting the Extra-ordinary Synod. (4) Guidelines for the Preparation of Couples for Marriage p.6.